The European Union’s decision to label Modi’in as a “settlement” has infuriated Israeli businessmen, normally viewed as center and left. The European Union’s decision to label Modi’in as a “settlement” has infuriated Israeli businessmen, normally aligned with the center and left. 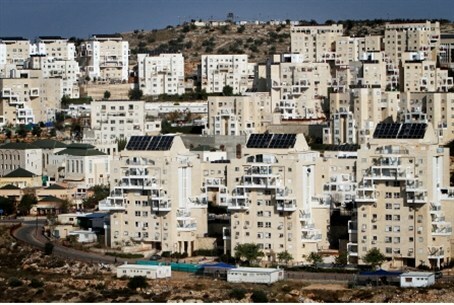 Modi’in is a modern up-scale city that has merged with Maccabim and Reut, giving it a population of more than 80,000. It is located halfway between Tel Aviv and Jerusalem. “Dozens of legitimate Israeli business operate in the area,” and we totally reject the EU conclusions that Modi’in is part of a ‘foreign territory,’” he said. The decision by the EU means that businesses in the area will not enjoy duty-free status as stated in the 1995 EU-Israel Free Trade Agreement. Israel Export and International Cooperation Institute chairman Ramzi Gabbay told Globes that even though the area has few exports, "The government should make every effort to remove this from the agenda to prevent creating a precedent." Gil Nadal, an expert in international trade law, warned that the new directive will harm the competitiveness of many Israeli exporters in Europe, the business newspaper added. Among the residents of Greater Modi’in are Mark Regev, spokesman for the Office of the Prime Minister, and Strategic Affairs Minister Moshe Ya’alon.